Are you looking for Tampa movers to help you with your upcoming move? It’s important to make sure that you get the best movers possible for the job and to do that, you need to know what to look for in a good moving company. 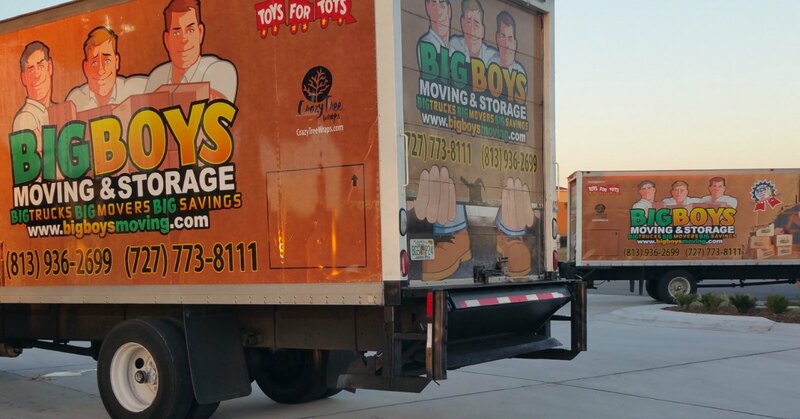 As the best Tampa moving company for nine years in a row, Big Boys Moving and Storage know a thing or two about high-quality movers, so today we’re giving you a few things to consider before hiring your next moving company. Reputable moving companies will give you a quote and ask you to sign a contract for your move, but they will not charge you for the move before the move takes place. They should not ask you for a deposit or full payment until their service has been provided. 2. Keep an Eye On That Contract! Good Tampa movers will give you a contract to cement your agreement with them. This contract is for your and their benefit so it’s important that the contract outline EXACTLY what service is going to be provided and EXACTLY what that service will cost. This will prevent any surprises come moving day. 3. When You Get a Quote Get it in Writing! Make sure that you get any quote in writing and make sure that that writing states whether that quote is a binding or non-binding estimate. This will let you know whether you can expect to pay more or exactly what you were quoted come moving day. Some moving companies will charge additional fees for certain things involved in your move, this in itself isn’t unusual, but make sure that you know about any and all additional fees ahead of time so you know what your cost of moving will be. Reputable Tampa movers will take a moving inventory of your belongings. That is, they will have a written list of your belongings and get an idea of the bulk and weight of your move, this will add to the accuracy of your moving quote. An inventory will also assist in completing the move and ensuring that all of your items are moved successfully. Live in Tampa and Need Help with Your Move? If you live in Tampa and need help with your upcoming move try giving us a call at 813-936-2699! Here at Big Boys Moving and Storage we always stay busy, but we’d be happy to help you with your upcoming move too!